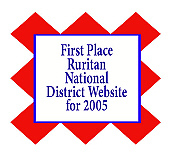 Ruritan National and its members are dedicated to creating a better understanding among people, and through volunteer community service, make America’s communities a better place to live and work. Ruritan members across the country represent a cross-section of the communities they serve. Piedmont District 31 currently serves approximately 63 Ruritan Clubs covering 15 counties. We're continually looking for new members who believe in our purpose and goals. If you're interested in joining, please click on the HOW TO JOIN button above, and we'll direct you to a club in your area.